Martin Parr is a pioneer of contemporary photographic culture and an avid photography book collector. Between 2013 – 2017, Parr served as the president of Magnum Photos. In 2017, Parr founded the Martin Parr Foundation in Bristol, which aims to support, collect and preserve the work of photographers who focus on the British Isles. In addition to large-scale retrospectives of his work in the Barbican Art Gallery in London (2002), Haus de Kunst in Munich (2008) and other prestigious venues, Parr’s accolades have included the Dr. Erich Salomon Award of the Deutsche Gesellschaft für Photographie (DGPh) (2006) and Photo Espania lifetime achievement prize (2008). He is the co-author of three volumes of the highly influential The Photobook: A History, and published The Chinese Photobook: From the 1900s to the Present in spring 2015. Parr has published over 100 books of his own work and edited another 30. Parr’s work is collected by major museums in the world, including Tate Modern (UK), Centre Pompidou (France) and the Museum of Modern Art (USA). Parr currently lives and works in Bristol, UK. Bridging the divide between art and documentary photography, Parr’s work features the recurrent subjects of consumption, leisure, food culture and national eccentricities, which take on a vibrant rendition in his Hong Kong project. 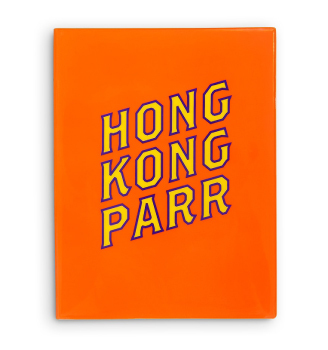 From the faces of Mainland tourists in Hong Kong’s shopping districts, local people in an entertainment whirlwind at the racecourse or the ballroom, to gory raw food in the wet market, Parr captures the intensity of urban life in Hong Kong as well as the social and cultural peculiarities of the city. Shot in various locations across the world, Luxury depicts the rich showing off their wealth in different scenarios, as an epigraph to today’s culture of excess and greed. An iconic series on its publication in 1986 and Parr’s first work in colour, The Last Resort portrays Britain’s working classes vacating at the decaying holiday resort of Brighton, a metaphor for the country’s dreams and struggles in the early 1980s. World-renowned British photographer Martin Parr is acclaimed for his richly ironic and humorous documentary photography that encapsulates contemporary life. On his first visit to China in 1985, Parr captured the mundane yet dramatic facets of everyday life in China, depicting it with his shrewd and sensitive photographic language. The six featured gelatin silver prints are officially exhibited for the first time.